Marine Force Recon Jungle Operator Bowie And Sheath - Stainless Steel Blade, Sawback Serrations, Rubberized Handle - Length 15 1/2” | BUDK.com - Knives & Swords At The Lowest Prices! The Marine Force Recon Jungle Operator Bowie has got your back, no matter the situation! A 9 3/4” stainless steel blade offers vicious sawback serrations and a razor-sharp blade that can take on whatever you throw at it. 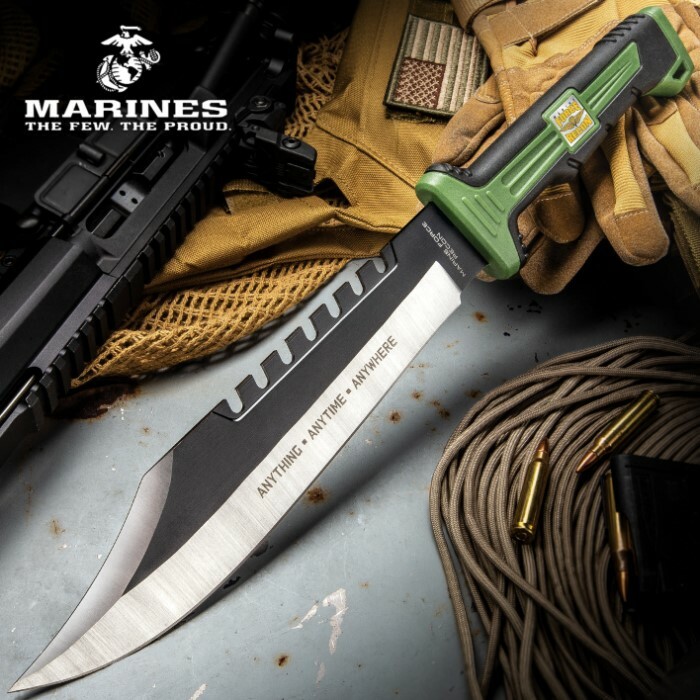 A medallion of the infamous Marine Force Recon logo is embedded in the handle and accompanied by a slip-free grip to ensure you never lose hold of this amazing knife. 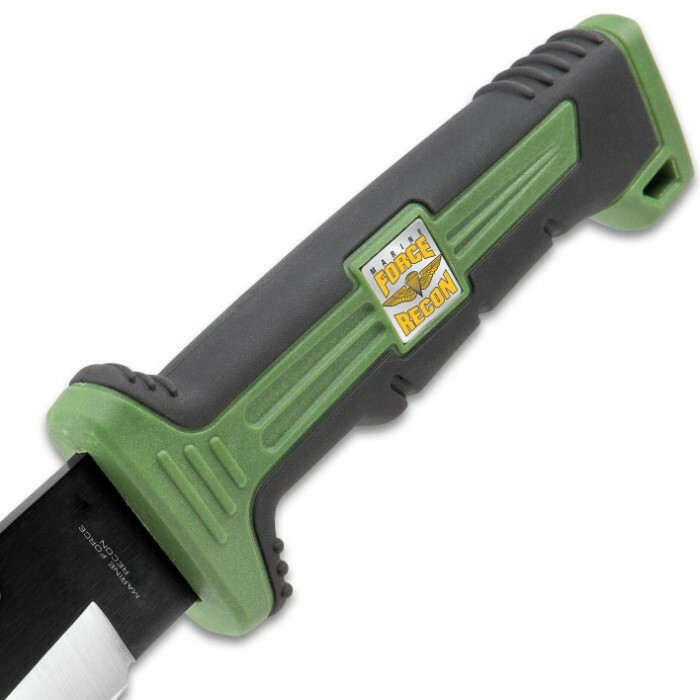 “Anything, Anytime, Anywhere” is laser etched on the blade to remind you that no matter where your travels take you with this knife, it can get the job done. 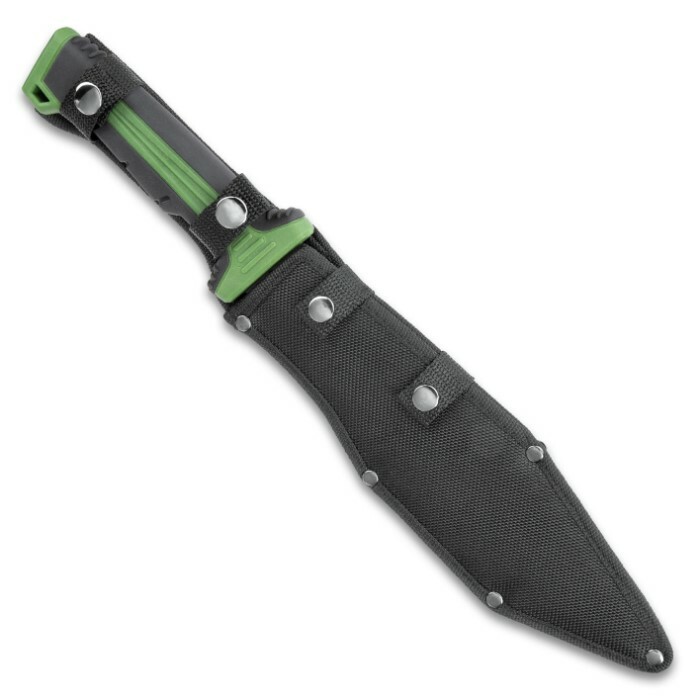 A durable nylon sheath is included to keep this menacing blade active for duty at all times.